Last friday, my new girl friend asked me to take her out for a date.But I never knew that she was actually gonna rip my purse. I went to her place to pick her up. The moment she entered my car, she told"Hey Chriz!, Why don't you buy me a Ring? ".I gave a shocked look. But the sweet seducing retort from her side was too much for me to handle and the next moment we entered a jewellery shop.A man in his mid fifties waljed up to me and said,"Can I help you sir?"... 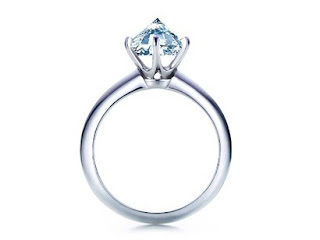 "I'm looking for a special ring for my girlfriend," I said. He looked through the stock and took out an outstanding ring priced at Rs.25,000/-.My heart bounced up with a shock. But I did not want her to know that I am going through a mental trauma. So I said,"I don't think you understand-I want something very unique,"
"Why does she have to make me a pauper? ", I thought to myself.I did not have a single paisa more than Rs. 5000 with me.But I could not lose the battle in front of my girl and hence I told the jeweller that I would take it. She clenched my arm in adoration and the air between us intensified. "How are you paying?" asked our jeweler. "I'll pay by check; but of course the bank will want to make sure that everything is in order, so I'll write a check and you can phone the bank tomorrow(Saturday), and then I'll fetch the ring on Monday.Me and my girlfriend left the shop.She rested on my shoulder while I drove back for a romantic evening. Monday morning, I woke up because of my ringing mobile phone. Me: Hello! Who is this? Jeweller:You lied, there's no money in that account. Me:I know, sorry, but can you imagine what a FANTASTIC weekend I had? lesson no 2: don't pay heed to praveen's lesson. and meanwhile, you didnt mention what 'wonderful' evening you had..? yeah... you like ring too? hahahaha...awesome man...got tears in my eyes laffn!!! LOL....a small lie and u get a wonderful weekend, but you lose the chick...worth it?? LOL! All u need is one forward and u get started, dont ya??? But good.... Impressive! yeah.. forwards gimme lot of ideas.. a little bit of alteration and bingo i have a new post..
Hmm so you had to change mobile no in the end eh? So now girlfriend can't (and also voluntarily won't) give you a ring cos you didn't give her one eh? yes i shaved off my mush.. he cant recognize me anymore. he he hd a hearty laugh ..haa..luks lik u r plannin 2 fool gals wit de gift of de gab..i pray dat gals either turn deaf or stop being dumb. lets watch out 4 dis mean fella..lol!btwn do u ever write thngs really out of ur life? hahahahahaha...girlfrnds can be seriously expensive!! gosh..is this true story or a fiction? i see my life as a joke... certain parts of the posts are truths .. but the others are lies... i just want my readers to havea great time..
you mean to say that you got a cheap girlfriend? //your girlfriend giving a ring on my mobile.. i wont mind that.. Even I won't mind that. Cos it will mean I have one!